Too Much Johnson, in addition to being an irresistible double entendre, is a silent movie made by Orson Welles in 1938 as a companion piece to the eponymous 1894 play by William Gillette being staged by the Mercury Theatre, Welles’ New York City repertory company. The film, much like Gaul, was divided into three parts: one 20 minute prologue to play before the first act and two 10 minute introductions for the remaining two acts. It was a slapstick comedy in the style of Mack Sennett, meant to play off the physical comedy of Gillette’s farce. 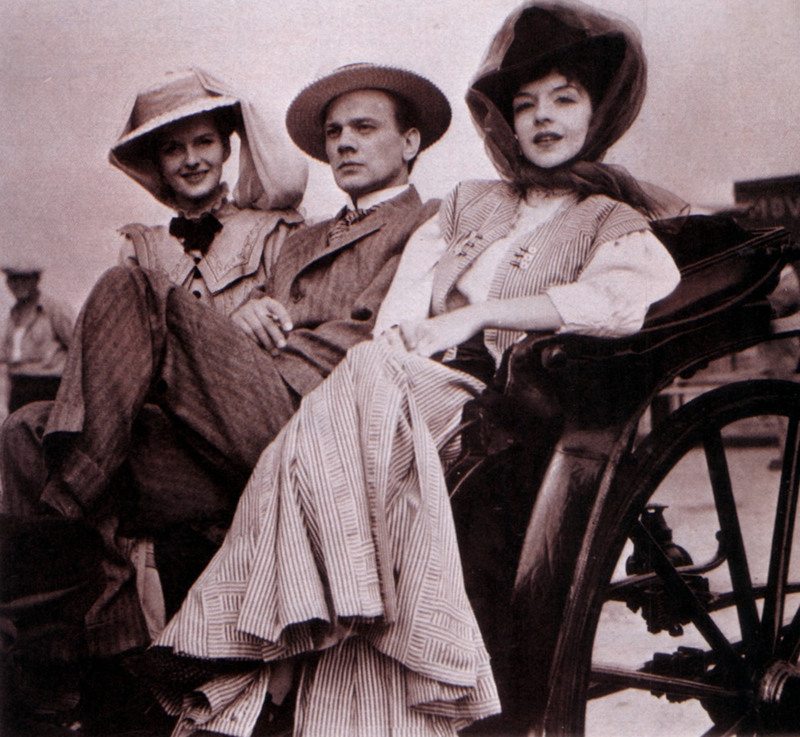 It starred Mercury actors including Joseph Cotten, Virginia Nicholson (Welles’ wife at the time) and Orson himself in a small role as a Keystone Kop. The movie never did make it onto the stage. The theater wasn’t set up for film projection and the premiere was repeatedly postponed. Finally the play was scheduled to debut in November of 1938, but cost overruns on the previous play, Danton’s Death, forced the troupe to cancel the New York production of Too Much Johnson. Instead, they ran it for two weeks at the Stony Creek Summer Theatre in Stony Creek, Connecticut, starting August 16th, 1938. The film was never shown and the play was a flop. Since it was never distributed, it wasn’t copied. Welles put the film in storage and literally forgot about it until he found a print in his house in Madrid in the 1960s. Unfortunately a fire at the Madrid home in 1970 destroyed the fragile and highly flammable nitrate film. From then on, Too Much Johnson was considered lost. It was a keenly felt loss, despite its relative obscurity. 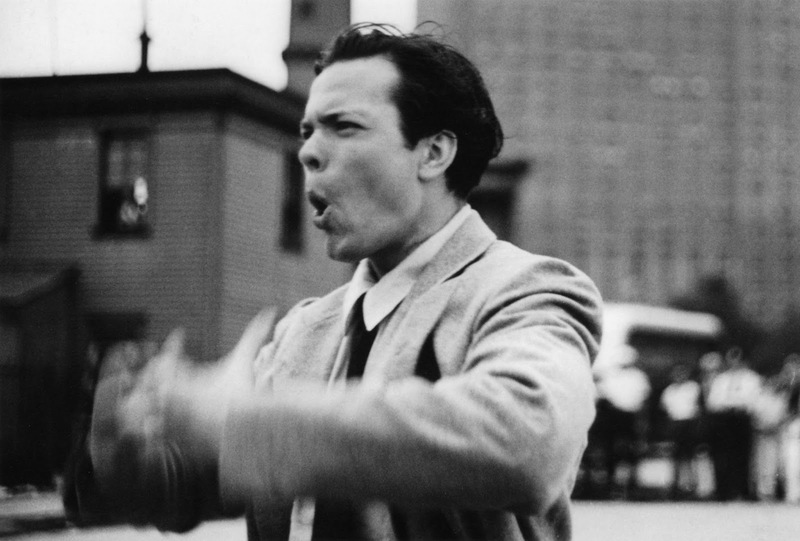 Too Much Johnson was the second film Orson Welles ever made. He edited it himself on a Moviola machine in his room at the St. Regis Hotel. The first film he ever made was an eight-minute short called The Hearts of Age (watch it on YouTube here) that he shot in 1934 when he was just 19 years old. 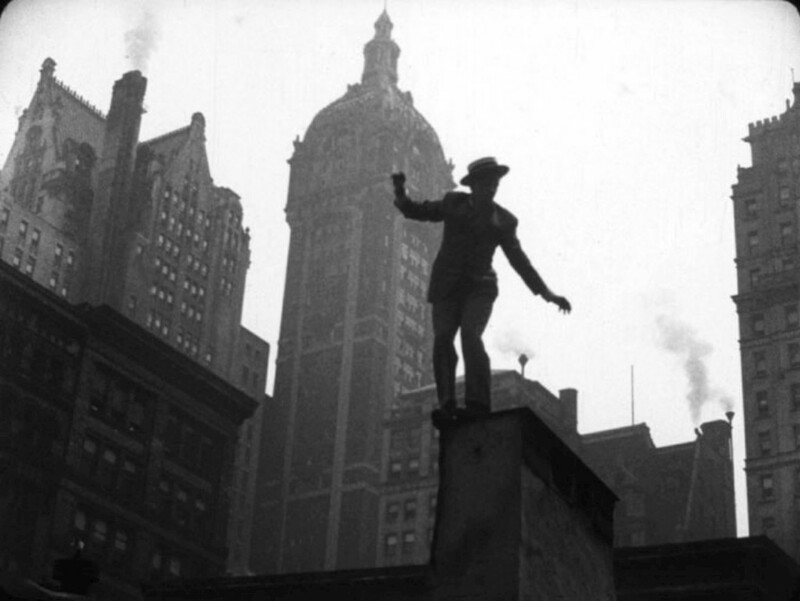 The third was his masterpiece Citizen Kane, so film scholars have long been intrigued by the elusive Too Much Johnson as the first movie Welles made for the paying public (even though the paying public never saw it) three years before Kane. In 2008, a surviving print was discovered in the warehouse of a shipping company in Pordenone, a city in the northeast Italian region of Friuli-Venezia Giulia. It had apparently been abandoned there in the 1970s. The finders were staffers with Cinemazero, a cultural organization that together with Cineteca del Friuli runs Le Giornate del Cinema Muto, a silent film festival that draws scholars, critics and fans of the genre to Pordenone every Fall. Cinemazero staffers realized they had found a pearl of great cinematic price. Cinemazero sent the film to the George Eastman House in Rochester, New York, where experts in film preservation spent years stabilizing, cleaning, restoring the footage so it could be copied to modern film and screened for the public for the first time. The film on that reel was so brittle it couldn’t be touched. Haghefilm Digitaal was able to rehydrate it using a chemical process so the film could be played and copied to safety stock. No digital tools were used. Too Much Johnson will have its world premiere in Pordenone during this October’s Le Giornate del Cinema Muto festival. It will have its US debut on October 16, 2013, at the George Eastman House’s Dryden Theatre, but tickets are only available to George Eastman House members. If sufficient money can be raised, the National Film Preservation Foundation will share the film over the Internet in 2014. Click the Donate Now button on this NFPF page to contribute to the digitization of this unique glimpse into the cinematic development of a groundbreaking genius.